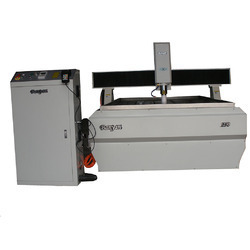 Offering you a complete choice of products which include cnc router machine, metal mould engraving machine, precision cnc router machine for metal, cnc router machine (multiple head), cnc router for stone engraving and cnc router wood working machine. Adopting Linear Square Guide Rail Which Can Adjust Gap & Change Track, The Life Can Be Not Less Than 10 Years. Comprehensive Performance Is The Best. Cast Iron Platform With The Box Structure To Ensure High-Quality Rigidity & Precision. 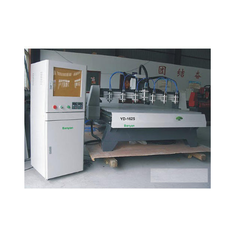 Efficient Processing, High-Power Spindle Motor, Low Noise, Strong Cutting. Compatible Type3/Artcam/ Castmate/Proe/UG/Wentai Etc., Software. Have Power Restored, Power Outages Continued Carving, Processing Time Forecast Etc., Functions. 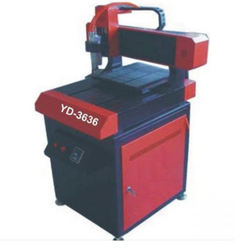 With the valuable assistance of a skilled team of professionals, we are offering an extensive range of flawlessly finished Metal Mould Engraving Machine. Structure: Overall Casting, High Precision, Good Durability, Imported Linear Guide Rail & Ball Screw. Design: Perfect Design, Operate Freely. Has Function of Power Restored, Power Outages Continued Carving, Processing Time Forecasting. 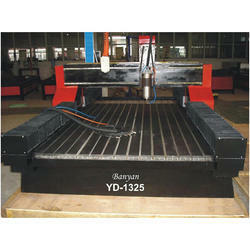 Application: Wood, Acrylic, MDF, Marble, Granite, Artificial Stone, Tombstones, Milestones, Ceramic Tiles, Glass etc.